The striking desert landscapes of the American Southwest have long captivated photographers who have sought to arrest its drama in images. Standing on the edge of the Grand Canyon’s mile-high precipice, pondering layers of color and shadow, marveling at the pink spires of Bryce Canyon's sandstone hoodoos, witnessing plumes of water pouring off the cliffs at Zion...such classic vistas offer thrilling opportunities for photographers. Our intimate photo expedition promises many opportunities to capture these coveted scenes and more—including dramatic aerial shots over Bryce from a helicopter. Explore lesser-known corners of all three renowned Southwest national parks, staying in historic park lodges along the way. By traveling in the quieter seasons of spring and fall, visitors are fewer, and the light is simply amazing. Zion, Bryce and Grand Canyon are some of America’s most popular national parks. Most travelers have to book months out to get desirable accommodations, and often end up navigating the sights with hundreds, even thousands, of other visitors, trying to consult brochures, maps and guidebooks in an effort to catch the “highlights.” When you travel with us, we take care of it all—you’re assured wonderful places to stay, you'll avoid crowds as we discover the hidden side of the parks our “insider” perspective reveals, and, of course, you'll get great photography coaching. Our trip is limited to approximately 12 travelers accompanied by two NHA Expedition Leaders. This allows us to break into even smaller groups, traveling in small vehicles with access to roads and places that large motorcoaches can’t get to. And since wildlife is more comfortable with fewer people around, we are more likely to get to photograph some of the creatures that call these rugged environs home. Bright overhead sunlight is a dominant midday feature in the desert Southwest. But it doesn’t make for the best views of canyon country, let alone photos. That’s why we facilitate photography opportunities in the stunning light that best enhances these geological wonders. Unlike bus tours that have to accommodate 40 or 50 people, we have the flexibility to move when the light is best, and to move on when it isn't. Some days we’ll rise early to see the first rays of sunlight reflected off the rock formations, bathing them in a vermilion glow. As the sun climbs, natural bridges, cliffs, even waterfalls showcase an astounding palette of colors. Or we may linger over a radiant sunset, to absorb the grandeur of these astounding landscapes as the colors gleam, deepen and begin to fade. 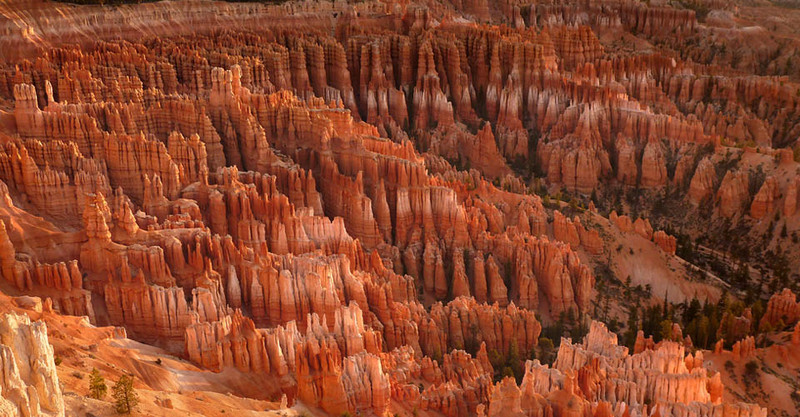 At Bryce Canyon, we take to the skies on a thrilling 30-minute helicopter flight over the canyon walls and "forests" of pink sandstone hoodoos the park is renowned for. Our aircraft is able to fly low and slow, giving you a good chance to get exciting photos of famous formations and the broader canyon landscape. Most visitors to the Grand Canyon concentrate on the South Rim, which is far more touristed and heavily paved than its counterpart across the chasm. More remote and less accessible, the North Rim evokes an experience of the Grand Canyon as it was decades ago, when the predominant sound was of wind in the pines, and you could wander trails on the rim in relative solitude. You'll get better photos with fewer people on this less-traveled option. 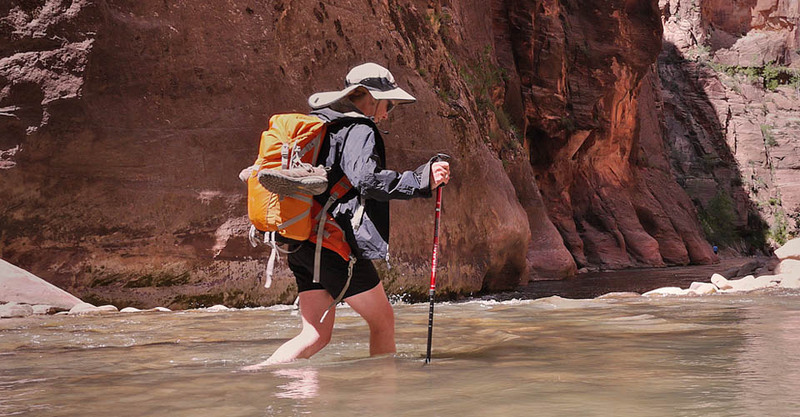 You’ll get to participate in some highly popular activities such as riding a mule into the depths of the Grand Canyon or walking The Narrows in Zion. But we also add more unusual stops and sights, which make for distinctive photos and often end up being the true highlights of the trip for many guests. Our Expedition Leaders, who are intimately familiar with this region, introduce you to the crannies, cultures and local “characters” that will bring these stony scenes to life in a vivid way. While the geology and scenery of the Southwest are undoubtedly the greatest draws of canyon country, its human history is also fascinating. From ancient Native Americans to Mormon pioneers, from cowboys to river runners, explorers and settlers of the canyons have inspired their fellow humans for eons. We make sure you meet some of the local people who have a history here—and a few stories to tell. We select atmospheric inns and lodges for their ambience and outstanding locations. 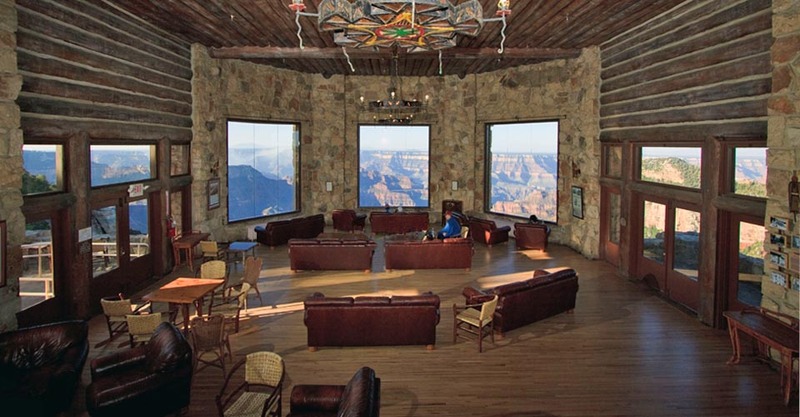 You'll enjoy two classic properties inside the parks—Bryce Canyon Lodge and Grand Canyon Lodge on the North Rim—at a time of year when they offer a mellower atmosphere than the height of summer. A chance to stay at these fine rustic inns that are part of national park heritage adds a great deal to your Southwest canyons experience. 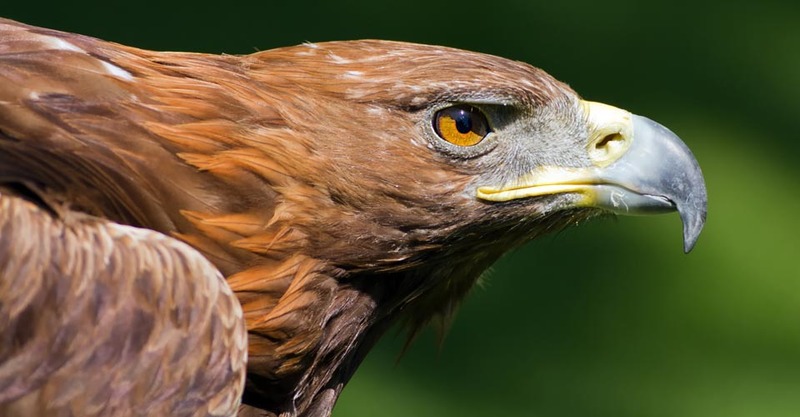 With an average of 20 years’ experience in this area, our expert naturalist guides know where the best “paths less traveled” are located, for wildlife watching and breathtaking landscape views. They know how to avoid the swarms of tourists that off-load from big motor coaches—and how to inform you about every aspect of the region’s wildlife, geology, natural history and native cultures. With lots of special stops and surprises up their sleeves, our Expedition Leaders share a side of the canyons with you that most visitors never see. See Expedition Leader bios with traveler comments regarding the quality of our leaders. Our canyons trips are timed not just to avoid the crowds of summer, but to take advantage of those times of year when the seasons paint the landscapes with their most beautiful colors. Spring and fall offer the best light and backdrops for stunning photographs. We all care about the planet, and you can travel with us knowing that the emissions from your trip are 100-percent carbon-offset. Natural Habitat Adventures is the world’s first carbon-neutral travel company, a feature that is especially critical when considering that polar bears are under substantial threat from our planet’s warming temperatures. Fill out the form below to receive additional information about our Canyons Photography in the American Southwest. Hi Nat Hab, I’m interested in your Canyons Photography in the American Southwest. Can you please contact me with more information?